The differences between Tanzania Budget Safari versus Tanzania Luxury Tented Camps safari are the quality and location of accommodations; quality and number of included activities (which are hidden in the final safari cost); size of the safari tour group; and the level of personalized service. “My idea of camping is the Holiday Inn” – The novice explorer did not want to pitch a tent and cook food, though there are safaris where an authentic “in the African Bush” experience is offered. The novice explorer prefers flushing toilets (no squat holes); hot water showers (versus tepid bucket showers) after a long and dusty game drive; and meals prepared by someone else. No video games/televisions on safari. Guests have face to face conversations discussing the day’s events and animal observations. Internet access is slow (and expensive) – almost nonexistent out in the bush. Accommodations use generators for a few hours each day to power equipment and provide electricity. The generators are turned off from the midnight to dawn to conserve fuel. The safari levels below are arranged as a group safari, as well as a Tanzania private safari by Aardvark Expeditions Limited. Budget Camping Safari – least expensive option: Participation safari where camping equipment is carried; choice of ‘pitch own tent’ or more basic accommodations. 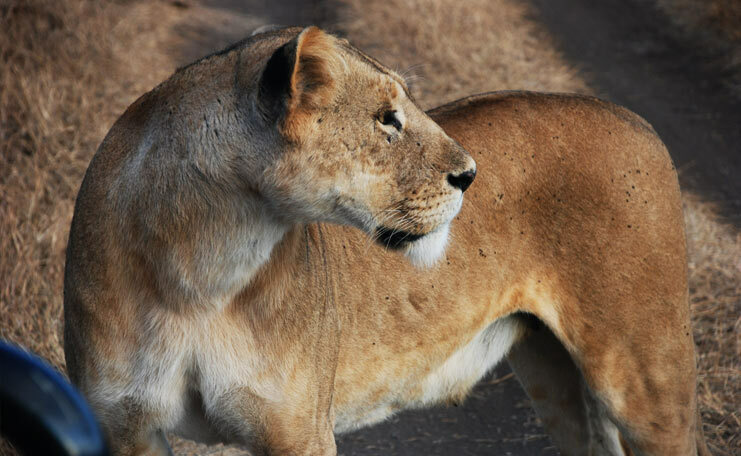 A cook will be provided in order to prepare hot meals and clean up for you while on safari. This is a no frills wild game safari. After an early breakfast and then drive to Lodoare Park Gate in order to finish all the park formalities’, descend into the Ngorongoro Crater for crater tour. This is world heritage site; the incomparable Ngorongoro crater is the world’s largest “caldera”. Dominated by cliffs standing some 600 meters high and presenting a sheer drop down to a wide open space of some 246 square km, and you may see everything from elephant to lion, and if you’re lucky, the near-extinct black rhino, all amongst large herds of zebra and wildebeest. 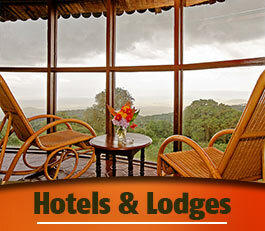 Afternoon exit the crater and drive to Rhino Lodge Ngorongoro or Simba Camp – with fascinating view of the crater floor! After breakfast, drive to Lake Manyara National Park for game drive, Lake Manyara is a shallow freshwater lake in Tanzania. It is said to be the “loveliest (lake) … in Africa,” Lake Manyara is covering 127 square miles (329 km2) of Lake Manyara National Park, the lake’s alkaline waters cover approximately 89 square miles (231 km2). It is famous for a good number of baboons and birdlife, also home to herbivores such as hippos, impalas, elephants, wildebeests, buffalo, warthogs, and giraffes, giant fig trees and mahogany seen in the groundwater forest immediately around the park gates, and then drives back to Arusha. 2 people Price cost US$ 847 per person. 4 people Price cost US$ 671 per person. 6 people Price cost US$ 612 per person. 2 people Price cost US$ 1,012 per person. 4 people Price cost US$ 835 per person. Meet and great service, All park fees, Tanzania Lodge safari, Tanzania Budget Camping Safari, Driver guide, Game drives in a 4×4 safari vehicle with pop up roof, 1.5 Bottled drinking water while on safari, Safari cook, Breakfast, Lunch, and Dinner. International flight, Visas, Airport tax– but it can be paid direct by client(s), Tips, Sleeping bags – if required it can be hired locally, Other Drinks, Personal travel and Baggage insurance, Telephone bills, Emergency evacuation insurance, Laundry and any items of personal nature, Airport pick ups/departure transfers. We may have to re–route the itinerary or accommodation in similar hotels or lodges in case we don’t availability. Price for domestic fights, airport taxes and park /entry fees can change without prior notice. Our guests should be aware that this will be beyond our control and any increase levied will be passed to you. 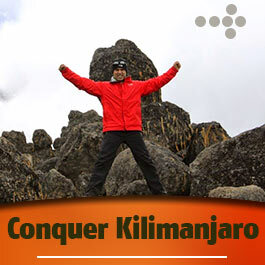 Passenger should bring only soft sided bags on safari while duffle bags and bigger backpacks are suitable for Mount Kilimanjaro climbing as well as for Mount Meru climbing. All passengers must have identification card or international passport with them for internal flights. Luggage for internal flights is strictly limited 15 kilograms per person including hand luggage. Any excess baggage will be changed by the airline company during check–in. All passengers landing in Tanzania may be asked to present a valid Yellow Fever Vaccination Certificate. Please take a Note: Your booking is not yet confirmed but we will check your accommodation availability and it is provisional booked. We will confirm your booking after we hear back from you soon. 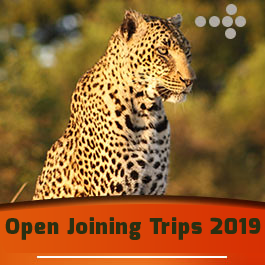 So, if you want to have experience of best African Safari (Tanzania adventures safaris), contact us to experience affordable and best African Safari.